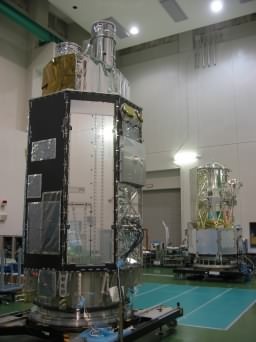 The final spacecraft integration and test (I&T) of Astro-E2 at Sagamihara Campus is now at the final phase. From now on, we perform the final integration of the batteries and solar paddles, final spacecraft function tests and alignment measurement. 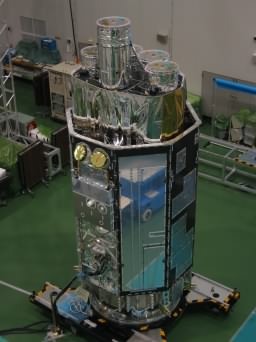 In about a month and a half, Astro-E2 will be ready for the launch site operations.